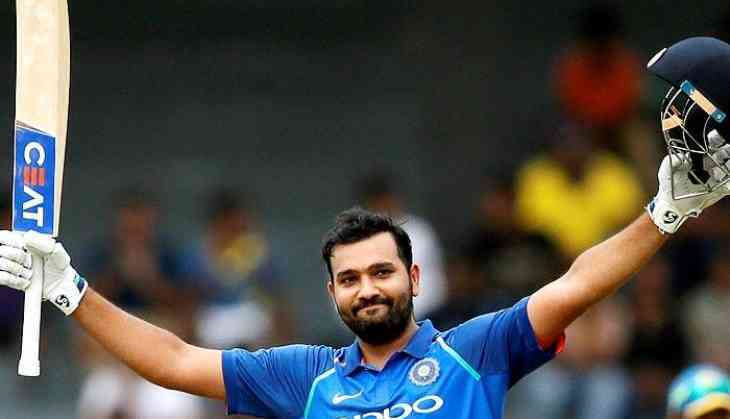 His penchant for hitting double hundreds is universally acknowledged and skipper Rohit Sharma will be eager to make his 200th appearance for India a memorable one with a solid performance against a below-par New Zealand in the fourth ODI here Thursday. With the series already sealed, Rohit, who has a good record as stand-in captain and has three double hundreds in ODIs to his credit, would aim to tighten the noose around New Zealand in what could be another batting friendly track at Seddon Park. A 4-0 lead will be India's biggest series win (across formats) in their 52 years of touring New Zealand having first visited the country back in 1967. For India, the two remaining matches give the side an ideal platform to once again test the bench strength and give the younger men a feel of match situations. The status of Mahendra Singh Dhoni's hamstring injury is not known but according to team sources, there is nothing much to worry about. A decision on Dhoni's availability will be taken before the toss on Thursday. In case Dhoni is available and the team management avoids tinkering with the combination, he will walk in as Virat Kohli's replacement. Kohli has been rested for the remiander of the tour. However, if the visitors opt for a like-for-like replacement, then Indian fans could get a glimpse of the immensely talented Shubman Gill in the senior team jersey. Billed as one for the future, many experts have found a striking similarity in the 19-year-old Gill's strokes with the ones that Kohli plays effortlessly. "I wasn't even 10 percent of what he (Shubman) is, when I was 19," Kohli had said after India's series win in Mount Maunganui. Following Kohli's effusive praise, Shastri and Sharma might just give Gill a go and check if he can also be an option at No 4, where Ambati Rayudu has done a decent, if not spectacular, job so far. In case both Gill and Dhoni are included, Dinesh Karthik could well be rested. The bowling department also looks settled with Kuldeep Yadav (8 wickets in 3 games) and Yuzvendra Chahal (6 wickets in 3 games) accounting for 14 wickets so far in the series. But Mohammed Shami, who has won back-to-back Man of the Match awards, could be given some rest as he has been playing non-stop since the start of the Australia Test series. In case Shami is rested, Khaleel Ahmed or Mohammed Siraj could be given another chance to stake their claim for the reserve pacer's slot available in the World Cup squad. For New Zealand, everything seems to have gone haywire since the start of the series and skipper Kane Williamson has agreed that they have been completely outplayed by India. Their biggest problem has been the inability to read Kuldeep and Chahal, who have inflicted the maximum damage on the home team. Shami has also been pretty lethal in his first spell. Williamson has got starts but has not been able to convert them with scores of 64, 20 and 28 so far. Martin Guptill, an otherwise dangerous player, has also not been able to survive the new ball. Tom Latham and Ross Taylor have performed occasionally but none has been impactful consistently enough to change the complexion of the game. In the bowling department, the incisive Trent Boult has lacked support and Lockie Ferguson is far from a finished product. His was considered a USP but has been his biggest weakness in the series. Seamer Doug Bracewell and leg-spinner Ish Sodhi have also been mediocre, which makes the job of the 'Black Caps' tougher in the last two games. With all-rounder Jimmy Neesham added to the squad, he could well feature in the playing XI as the home team seeks some consolation from the humiliation that they have encountered so far. India: Rohit Sharma (captain), Shikhar Dhawan, Ambati Rayudu, Kedar Jadhav, MS Dhoni (wk), Dinesh Karthik, Hardik Pandya, Kuldeep Yadav, Bhuvneshwar Kumar, Mohammed Shami, Yuzvendra Chahal, Shubman Gill, Khaleel Ahmed, Mohammed Siraj, Ravindra Jadeja. New Zealand: Kane Williamson (c), Todd Astle, Trent Boult, Colin de Grandhomme, Lockie Ferguson, Martin Guptill, Matt Henry, Tom Latham (wk), Colin Munro, Jimmy Neesham, Henry Nicholls, Mitchell Santner, Tim Southee, and Ross Taylor.